The Checking Option is primarily subject to the risk that the return on the underlying checking account will vary because of changing interest rates and that the return on the checking account may decline because of falling interest rates. See Appendix B – Fifth Third Bank Terms and Conditions in the Plan Disclosure Statement for additional terms and conditions applicable to the Checking Option. 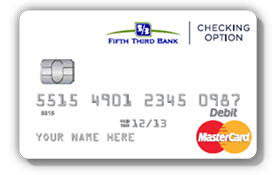 Funds in the Checking Option will be covered by FDIC insurance, subject to applicable limits and the application of Fifth Third Bank’s and the FDIC's rules and regulation to each Account Owner. Please visit www.fdic.gov for more information about FDIC insurance coverage.